Life isn’t always rainbows and butterflies. When things go wrong, it’s normal to feel sad or come down with a case of “the blues.” However, when feelings of emptiness or despair take over your life, you could have depression. Fortunately, all is not lost. You can get the best treatment for depression – you just need to know where to look. Some people turn to antidepressant medications first, but with so many different options and unavoidable side effects, this shouldn’t be your go-to route. Instead, you should focus on making lifestyle changes, starting therapy and pursuing homeopathic remedies. Learn what triggers your depression symptoms so you can avoid certain scenarios. Avoid drinking alcohol and taking drugs, which may numb your sadness temporarily, but ultimately make treating depression more difficult in the long run. Start an exercise program to enjoy a natural runner’s high every day. Strive to get seven to nine hours of sleep every night. If you have difficulty sleeping, homeopathic supplements can help. Don’t isolate yourself. Cultivate healthy, supportive relationships with friends and family by regularly participating in social events and get-togethers. Learn to manage stress and challenge your negative thought patterns with the help of your therapist. Read self-help books and websites that offer support and advice. Seek treatments to help you relax and think positively, including acupuncture, meditation, massage or music therapy. Work with a homeopathic doctor to help you choose the right supplements to naturally treat depression. Examples include St. John’s wort, SAMe and omega-3 fatty acids. Having any kind of past Abusive experience. Because of Conflict Death or a loss. Depression is the biggest enemy of happiness and healthy life and if in case you are going through depress full phase of your life and wants an instant relief through natural remedies than homeopathic medicines are the best option for you. If dealing with any of the above mentioned issues which results in peace violation of your mind because of which you are getting sick day by day than in that case you should consult with a doctor. 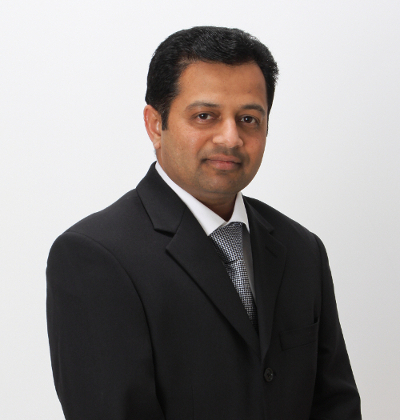 Dr. Devang Goswami is a professionally trained Classical Homeopathic Physician with more than 20+ years of experience. Dynamic Homeopathy clinic provides services at different locations like Depression treatment Lyons, Basking ridge, Hoboken, Bayonne, Belleville, Warren NJ, Jersey City, Bernardsville, Bedminster, Berkeley Heights, Morristown, Union City, Weehawken, New York and Newark. According to your availability you can consult with the doctor. He will diagnose your health and based on that the doctor will prescribe the medicine. All the homeopathic medicine does not involve any after side effects. Best treatment for depression comes with fair charges for patients. You can readily avail Treatment for Depression within your medical budget without any extra charges. Note that the Depression Treatment New Jersey is the talk of the town because of its immediate and stable solutions on huge number of patients. Also, Alternative treatment for depression is gaining momentum among the patients who are intensely suffering. According to the specialists and experts in the medical field, Natural treatment for depression suits most of the patients under any condition. You can really feel the difference after completing the treatment for depression. To learn more about taking a homeopathic approach to treating depression, visit the Dynamic Homeopathy website. Then schedule an appointment with our experienced homeopathic doctor for help identifying the best treatment for depression based on your individual needs.